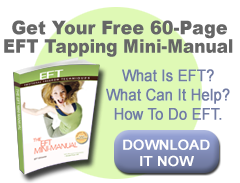 EFT is a powerful, deceptively simple healing tool, but sometimes tapping on even seemingly innocuous issues can produce a sudden spike in emotional intensity. Many of these can be handled by the simple practice of “keep tapping,” but what do you do when that doesn’t work, or when it makes the reaction more intense? Worse yet, what do you do if your own “stuff” gets triggered in a session? Every Tapper, whether using EFT professionally or just with friends, needs to know effective ways of dealing with such events in order to avoid retraumatizing the client. This Workshop is intended to help practitioners understand the many faces of trauma, and how to address it with Clinical EFT in an effective and competent way. The term "Clinical EFT" refers to the evidence-based method that has been validated in research studies that meet the requirements of the American Psychological Association (APA) Division 12 Task Force on Empirically Validated Therapies. Complex Trauma, also called PTSD-C or Disorders of Extreme Stress (DESNOS), is quite different from PTSD in its causes and treatment. Complex Trauma results from chronic, repetitive stress from which there is no chance of escape. Simple PTSD, on the other hand, more often results from single discrete events, several discrete events or short-term exposure to extreme stress or trauma. Since the introduction of PTSD in the DSM-III, research investigating the effects of trauma on people has shown that the diagnosis of PTSD captures only a limited amount of posttraumatic effects. Two critical elements in influencing survivors’ outcomes are the developmental level at which the trauma occurs, and whether it occurs in the context of a relationship with a caregiver or intimate partner. For example, survivors of car accidents or natural disasters often have quite different clinical presentations and treatment needs than those who experienced ongoing abuse, deprivation, and/or neglect at the hands of their caregivers. EFT practitioners who mistake PTSD-C for simple PTSD can find themselves mired in difficulty, and their clients experiencing unnecessary pain and confusion. Survivors of early interpersonal trauma often develop more complex and difficult to treat symptoms that need to be approached with great care and expertise. It is essential that EFT Practitioners understand the difference between PTSD and PTSD-C. This program is intended to help practitioners understand the many faces of complex trauma, and how to address them safely and competently with Clinical EFT. In this workshop, you will see exactly what stress looks like in the human brain. Then, while monitoring brain, heart and body, you’ll see how EFT releases that stress quickly and permanently. Through modern brain-wave technology, you will see how EFT is able to melt away the brain patterns of anxiety and upset, replacing them with peace and harmony, allowing you to achieve the perfectly balanced “Awakened Mind” state. Decades of measuring the brain-wave patterns of higher states of consciousness has shown the interrelationships of brain-wave frequencies that develop as the Awakened Mind state is induced. It is characterized by a combination of four categories of brain waves (beta, alpha, theta, and delta) in the right relationship and very specific balanced proportions. This subtle and individualized combination of beta, alpha, theta and delta can be identified, encouraged, and induced. This special brain-wave pattern is the access state to all states of higher awareness, creativity, intuition, high performance, and healing. In the course of the workshop, you’ll learn to induce it yourself, as you remove your blocks to joy using EFT. After the powerful experience of this combination of EFT and biofeedback, you will leave with tangible tools you can put into practice for your clients or yourself. Dreams are often laden with emotion and can sometimes leave us stressed and shaken in waking life, but even our most frightening dreams can hold the key to our healing and personal growth. Dreams are an expression of the unconscious that can reveal unresolved emotional issues that affect our waking behaviors and leave us stuck. But understanding your dreams alone will not necessarily remove the emotional barriers to healing. EFT can augment dreamwork with a powerful tool for reducing emotional stress and anxiety, altering the emotional response surrounding a problem, once it is identified. Dawson Church is a world renowned expert in EFT. Bob and Lynne Hoss are pioneers of the Dream to Freedom (DTF) technique, which integrates both disciplines into a healing protocol. Using a structured approach drawn from traditional Gestalt therapy, the dreamer enters into the identity of an element in the dream and speaks from the perspective of that dream element, providing surprising insights about the link between the dream and the emotional conflicts at the core of a waking life problem. 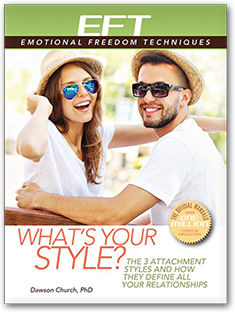 EFT is then used to reduce the underlying emotional barrier. DTF closes by using the cues within the dream to guide you on an imaginal journey in which a desired outcome to the dream is used to consciously replace the previous negative outcome. During this powerfully transformative workshop, you will reenter and work with your own dreams as you are trained in the use of EFT and the DTF protocol. You will learn the latest scientific and psychological understanding of dreaming and energy work and how trauma and stress is reflected in your dreams. This workshop, taught by art teacher Christine Cramer and Dawson Church, PhD, is a powerful way to dialog between parts of yourself, between your goals and your resistance, and between past, present, and future. At the end of the process, most people emerge having created a more beautiful work of art than they ever believed possible. The simplicity of the mandala art form makes it accessible to non-artists as a form of artistic expression, as well as a visible objective symbol of inner states and traits. The Soul Mandala process is a structured protocol for drawing a mandala while facilitating psychological transformation. The experience of creating a mandala evokes psychological and emotional blocks in most individuals. Rather than perceiving these blocks as obstacles to progress, the Soul Mandala process welcomes them as opportunities for growth. The protocol uses EFT to reduce or eliminate the self-talk that stands in the way of artistic expression and to resolve memories of emotionally troubling events. Alternating between EFT and drawing, the Soul Mandala process facilitates a dialog between mind and paper that can evoke powerful personal meaning in the artist, creating the potential for psychological transformation. This workshop provides an overview of the mandala in nature, culture, and art, describes the Soul Mandala protocol, and offers case histories and examples of mandalas that illustrate the process. Manifestation is fun! Join the author of the best-selling science book Mind to Matter for a romp through the science of turning your thoughts to things. You'll learn the astounding ways you can use your mind to create bliss neurotransmitters in your brain, anti-aging hormones in your body, and even change molecules in the physical world around you. 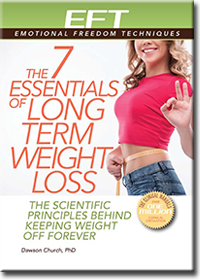 You'll also practice 7 precise methods for generating the brain wave frequencies that result in "coherent mind." That's the signature pattern of “Master Manifesters,” people who create effortlessly. You'll hear inspiring stories about how they use these methods to transform their health, wealth, relationships and spirituality. You'll see fascinating new technologies that demonstrate how quickly matter responds to thought, and play with some of them hands-on. If you’ve wondered about how you can create your ideal life, join us to find out what science shows your mind can do. Advanced Energy Therapies provides non-verbal tools drawn from the new field of memory reconsolidation and extinction to identify and erase the emotional impact of prenatal and early life events, as well as completing the unfinished conversations with important people in our lives. These tools work directly with the pre-verbal centers of the brain such as the hippocampus and amygdala. They use eye movements and structured breathing patterns to bypass language and cognition and reach neural pathways deep in the brain. They also use symbols and body sensations that represent memories. Specialized energy techniques in conjunction with tools from Gestalt therapy can allow us to finish the unfinished conversations of our lives, releasing their emotional grip on our psyches. Completing the past allows our energy to move freely toward a new and positive future. These workshops have no prerequisites and do not count as Specialty Workshops for the purpose of Clinical EFT certification. Note: While every attempt is made to ensure the cost and availability of the above stated workshops, venues, and trainers, this page is subject to change without notice. Errors will be corrected where discovered, and EFT Universe reserves the right to remove any workshop information and to correct any errors, inaccuracies, or omissions, including after a workshop has been posted and whether or not registration has been confirmed and payment has been made.